How do you articulate what your company stands for in an exciting, relevant, and emotionally compelling way? You know, in a way that makes people want to interact with your company – hire you, work for you, and invest in you? Hopefully, you read my previous article on how to identify your brand. You did your research. You have ten insights into your unique value and characteristics. You know why your customers only want to do business with you. You also know which customers are your best and who you want to sell more to. Now it’s time to take all of that information and distill it down into a written brand promise. This promise will be the backbone of all of your marketing messages and your strategic decisions to grow the company. The best brand promises are based on emotion. Branding is about building a relationship, and as humans, we only have relationships with people and things that evoke our emotions. That's why branding is so important — brands create the emotion behind your offering. 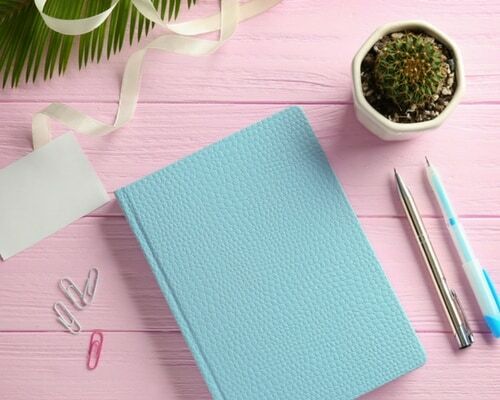 But the basis of the brand is clearly understanding and articulating how your company or service or product is different from every other firm clamoring for their attention. You have to SHOUT today to be heard with so many marketing messages bombarding people from all fronts. But more importantly, what you SHOUT has to resonate deeply with your customer. It sounds simple, right. Not! It’s easy to identify your target audience “Y.” Who buys from you? Your target audience may be moms with kids under the age of 8, law firms, men who love to golf, grandparents looking to downsize, etc. The more defined your target market, the easier it is to focus your marketing. It’s also easy to define “Z” or why you do things better. You have that data from your research. Your customers and employees said you do something better than anyone else out there so add it to the statement. The hardest part is defining “X” or what value you offer your clients because that should be built on emotion and fulfilling a personal need. For example, remember IBM’s “You’ll never be fired for buying IBM.” That hit at the emotional fear purchasers had when buying a computer. Back when computers were new, purchasers weren’t sure what they were buying and what they really needed. “What if I buy the wrong one?” IBM helped to allay their fears. They sold a lot of computers, too. One way to write a killer brand promise is to use a brand ladder. Start at the bottom with the company’s unique differentiator and work your way up to the emotional benefit. D) Emotional Benefit: Most importantly I make busy parents feel less guilty by helping them plan and enjoy time with their kids to create memories and raise happy, healthy children. I help them feel like good parents. E) End Benefit: Having a fun time with your family, so you feel like you are eating a piece of chocolate cake – happy, relaxed, and enjoying your family time. F) Product or Service Offering: I sell family fun activities and toys to busy families. A desire to help others. 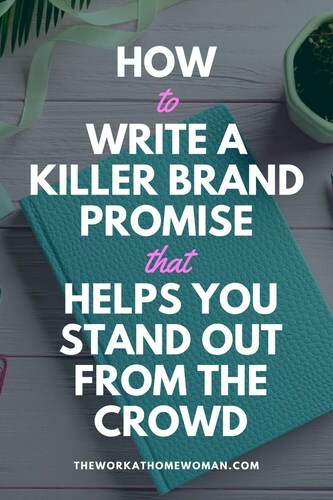 So, now that you have defined your brand promise, you’re ready to tell your story! With a 20-year background in marketing and branding consulting, Sue Kirchner is passionate about building brands. She is the founder and President of The Chocolate Cake Club (www.ChocolateCakeClub.com), an e-boutique that aims to inspire and help busy families have more fun, so they can have more “Chocolate Cake Moments” – when they are smiling, relaxed, and enjoying their family. Sue is also the publisher of the Chocolate Cake Moments blog (www.ChocolateCakeMoments.com), which shares tips and ideas on how to schedule more family fun and laughter. When she’s not working, she’s home having fun with her husband and two kids.